So I’ve had a busy few months and whilst I’m pleased I’ve still been blogging, my nature and writing project has been paused. A combination of going to Stanmore for three weeks, resting and recovering, and also getting used to having a lot more care. With this in mind, I put my nature and writing project on hold – it had a summer holiday! This means I will start getting back into it now that the summer holidays are over and the school year has begun again! Expect more tarot and animal spirit posts as well as I’m planning – long term – to work through all my animal allies cards, my animal totem tarot cards with a focus on the animals. I’m also planning – very long term – to work through all the tarot cards, having been inspired when I started with the ten of swords. There are so many directions to take the nature and writing in and I think this is partly why I’ve not done much recently. I was really clear about the different topics for the different months and now I’ve covered a lot of these, or at least touched the surface of them, and I don’t know whether I want to return to a topic or go with a new one! So many choices and so little restrictions! I think that’s why I’ve been doing the tarot and animal allies posts because then I’m not having to decide what to focus in on! As well as looking forward, I wanted to look back. I’ve been retired for over two years now and whilst I retired in May 2016, it was the September when things finally started to fall into place so I could have a life. I decided that September 16-17 would be a bit of a ‘gap year’ for me. I was overwhelmed at retiring, at having lots of things I wanted to do with my life and unsure what and how much I could actually do if I wasn’t destroying myself working. It felt like there were so many directions I could go in and yet I didn’t want to commit to just one. In the end, the gap year involved a good mix of things; art, Saturday classes at the university, writing and reading. It was January 2017 when I started on my animal spirit posts and it was from there than I formed my nature and writing project. I had a feeling before but now I know for certain that I am a lot happier when I have projects like these which are long term but with smaller short term chunks (the entire deck of oracle cards but also each individual post). I have also finally found the kind of writing that comes naturally to me at this stage in my life. As a child I wrote a lot of stories and created magazines and newspapers for fun. As a teenager I wrote an awful lot of (probably quite awful) poetry. I was a prolific poet and it just streamed out of me without much thought or effort. As an adult I have tried to recreate the stories and the poetry but its felt forced and definitely didn’t flow as it once did. This year whilst I was reading and writing and learning, I came across the term creative non fiction and it felt like a validation that my posts about animals, about nature, are creative and they do count as creative writing. Because they are non fiction I had essentially dismissed the creativity in them. And because they weren’t in a voiceless, facts only style I had dismissed them as non fiction. It wasn’t until I found the term creative non fiction that I was able to figure out what my writing is and from there I can learn more about the style and how to improve and explore different techniques. There have of course been lots of other realisations and discoveries in the past year of my nature and writing project but the thing I am most proud of is that despite having 6 months of being incredibly ill, I didn’t give up. I had to change goal posts and I had to instil patience in myself because I wasn’t physically able to do what I wanted. I also had to spend my energy fighting for help when I wanted to be doing my nature and writing project instead. But despite this, since I started it last September, I have written over 165,000 words and 186 blog posts. I have carefully researched the topics I talk about and have done some really interesting reading and watching of documentaries to fuel what I am writing about. For a year which involved six months of starvation (literally… I couldn’t swallow much food…), I’m pretty proud of myself. I couldn’t possibly chose a favourite topic or post but the one I find myself telling people about more than any others is the post I did in October about the very real and very serious cases of animals in court on trial. If you read nothing else I’ve written (except obviously some of this post to reach the link…), read that. Illustration from Chambers Book of Days depicting a sow and her piglets being tried for the murder of a child. 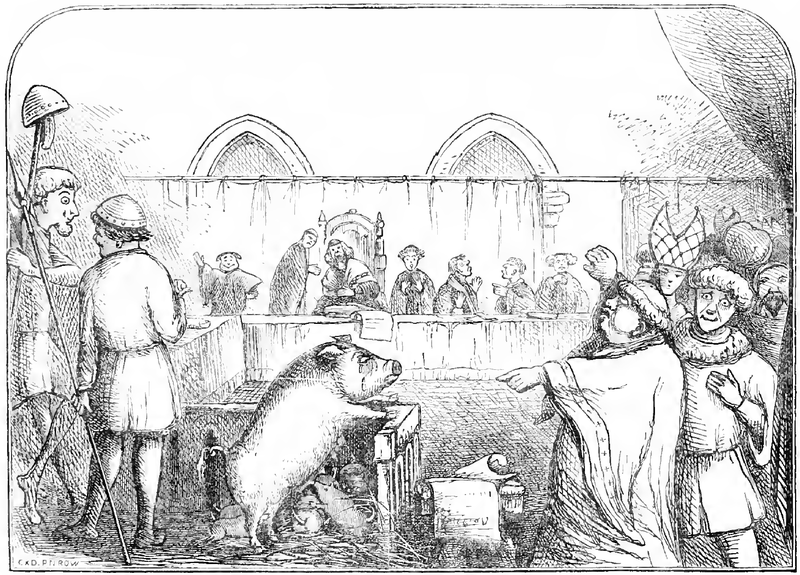 The trial allegedly took place in 1457, the mother being found guilty and the piglets acquitted. Having got back into reading following my stays in hospital, I’m back to collecting titbits about nature writing including hints about what makes for successful pieces. By this I mean writers and readers sharing their ideas rather than what I am gleaming from my own reading and writing. Robert MacFarlane as always have excellent things to say on the topic. In An Antidote to Indifference, he writes about the resplendent array of reading we have available to us today. That “a twenty-first-century culture of nature has sprung up, born of anxiety and anger, but passionate and progressive in its temperament.” He quotes Ali Smith as saying “the place where the natural world meets the arts is a fruitful, fertile place for both” and goes on to tell us how powerful writing can change the reader, and through the reader, the community. It can help shape our relationship with the natural world, and with place, instilling in us a consciousness and conscience about both. This leaves the potential nature writer facing a challenge of Everest proportions, seemingly as difficult as plunging to the floor of the Mariana Trench. But he also cites Alice Oswald as saying that poetry can save the planet by “putting our inner worlds in contact with the outer world”. A much more handle-able task, one we can turn in our palms and caress with our fingers. More like a beautifully cut, lovingly polished gem than a conquered mountain. No less difficult but not quite so overwhelming, keeping Oswald’s words in mind we can make the first move, rather than standing paralysed by the trial, or trail, ahead of us. This is excellent advice, known by most writers, but not always followed. I have an exercise where I split the page into five and in each bit I make notes about different senses; what I hear, smell, taste, touch, and see. Whilst I will never have much under smell (I have a terrible sense of smell), I will at least remember to think about it when I’m taking notes. Similarly with taste, on the whole we don’t literally taste nature, but it brings in different metaphors and helps you see things in a more holistic way. In his search for beavers, Crumley finds himself in less familiar territories, telling the reader that when this occurs it takes time for him to become accustomed to a place, that he walks slower, listens and looks harder, being still more often and through this he begins to build a familiarity, an intimacy, with the landscape. It is this relationship that allows writers to convey a habitat with such precision, with such knowledge, as though the land or nature herself were a friend they know well. It can be frustrating to read nature writing in which the author has been able to go to far flung, inaccessible places. Places where my bank balance and wheelchair cannot take me. The same is true when I turn to photographers. But the best nature writers and the best photographers can see what is right on their doorstep. It just requires time and effort to built the relationship with your immediate environment, time and effort that most of us forgo as we head out the door, get in the car and travel off to somewhere more traditionally considered nature. I am just as guilty of ignoring the road as I head off to the park. And this is something that I want to work on over the next few months. Writing about nature from your bed is something that Elisabeth Tova Bailey has done incredibly well and I will be posting about her book, The Sound of a Wild Snail Eating, very soon. Mslexia has a regular feature called 100 ways to write a book. They interview a particular female writer and in addition to that, we get an insight into how the author writes. For example, in the Dec/Jan/Feb 17/18 issue, Sarah Perry who wrote The Essex Serpent is interviewed and The Perry Method includes advice such as “If an idea occurs to you that makes your scalp tighten, it’s a sign that it will make a good story”. In a similar vein, the creative nature writing guide I’ve mentioned also has a section about method. It discusses use of journals, seasonal diaries, jotting down ideas on scraps of paper, dictating notes to a voice recorder, starting at the end, working on multiple projects and so on. There are so many different ways to write and the important thing is that you find the one that works for you. If you look online or in a bookshop, you’ll see pages and pages dedicated to teaching you how to write. These generally aren’t about technique or style, more often than not they are about getting you to actually put words on paper. And this is what the 100 ways to write a book column tends to be about. I could not even entertain the idea of telling anyone how to write. I am a retired, disabled, 31 year old woman with no children and no housework. I am in an unusual situation. I have all the time in the world to write but I also have limits imposed by pain and fatigue and brain fog. But over the last year or so I have honed my way of writing. I know I ebb and flow through the day and I know mornings tend to be the most reliably productive time so I try to make use of this. Your own rhythms will be different to mine but I wanted to share my approach in case any of it is of help. It has also been a helpful exercise in self reflection and I think a good reminder for when writers block strikes! Write in a personal way, you chat to your reader, you befriend them and in doing so you build a relationship. Even though you desperately want to write a beautiful novel, you can’t right now. The time may come but today you are a poet and a creative non fiction writer. Always have word open on your laptop. You have significant hand pain and so you need to type, despite longing to be able to sit with an elegant fountain pen and inspiring notebook. Which is important because your memory is not what it used to be. 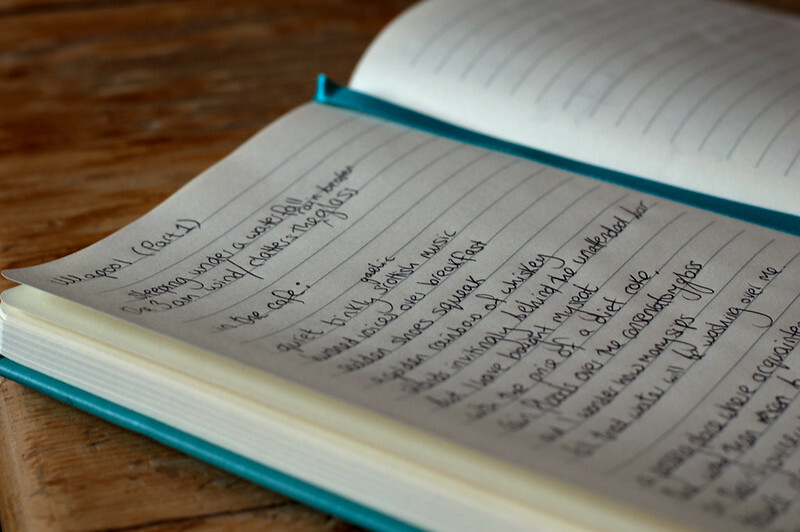 Keep a notebook at hand and a pen in sight and scribble down words and phrases before they are lost to brain fog. But do not write any more than that by hand, see previous point. Read lots. Read often. Read variety. Non fiction and fiction. Kindle and audiobooks. Poetry and prose. Magazines and articles. And once you have devoured the contents of other people’s writings, ruminate. Go quiet. Switch off Netflix and let the information swish around inside you. Feel into it and find the angle, find the hook. Don’t try and tell the reader everything you know about a subject. Unused facts and details are not wasted. They will be used elsewhere. They helped you to understand. The reader doesn’t need to know everything you know. Similarly, stay focused. In your excitement about a topic, you are likely to head off on too many tangents and lose the narrative and the reader. Go back to all those words and phrases and half started poems that you always mean to finish. Most importantly, write because you enjoy writing. Write for no other reason than it brings you pleasure. What tips would you include in your writing method? Virtually nothing I post on here is a final version and if I tried to do that you’d not get October inspired poems in October. Given the current structure of this project, I feel like it is more helpful for me to share unedited work that is relevant to the month’s topic as they will share ideas about approaches and exercises. I also, inevitably, have some words about autumn but I’m going to look at that in a different post. To this land, my hat I doff. A feat unmatched by human hands. Whilst line two has issues, I like the contradiction in the poem and in nature and it fits with the idea of nature not being less than us. One night this month, I lay awake. Well actually, many nights this month I’ve lain awake. But this particular night was raining and surprisingly my neighbours were quiet so I listened to it from my bed at 3am, thinking of rain words. And we have to have one poem about humans and animals, after all, it is the theme of the month!! Whilst I declared at the start these are all drafts, this one very very much is a draft. I like the idea and I know it needs work so constructive criticism welcomed! You may even see a reindeer*! *Seasonal attraction only, no guaranteed sightings, no refunds available. And lots of leaping leopards!